The concluding volume in a series collecting the stories of Jules de Grandin, the supernatural detective made famous in the classic pulp magazine Weird Tales. Available for the first time in trade editions, The Complete Tales of Jules de Grandin collects all ninety-three published works featuring the supernatural detective. Presented in chronological order over five volumes, this is the definitive collection of an iconic pulp hero. 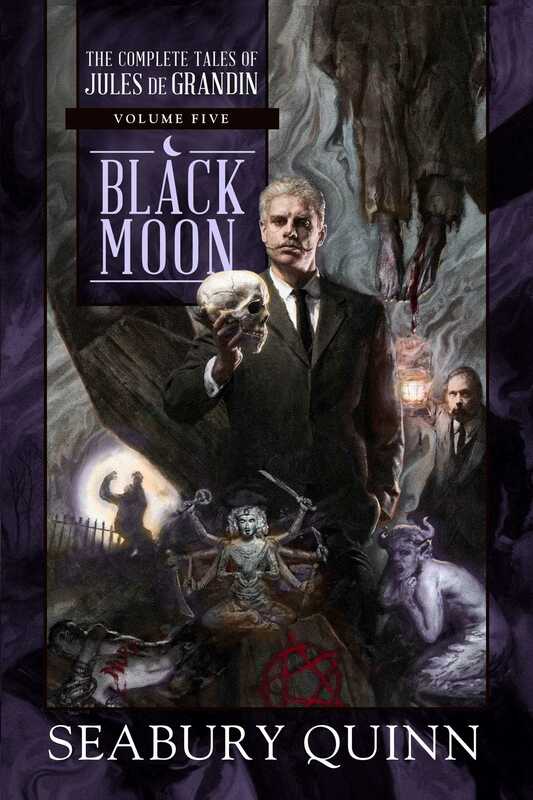 The fifth volume, Black Moon, includes all the stories from “Suicide Chapel” (1938) to “The Ring of Bastet” (1951), as well as an introduction by George Vanderburgh and Robert Weinberg and a foreword by Stephen Jones.